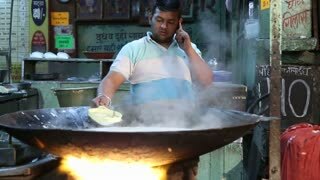 Search Results for "india phone"
JODHPUR, INDIA - 17 FEBRUARY 2015: Man talking on phone before pouring ingredient to kettle with boiling chai. 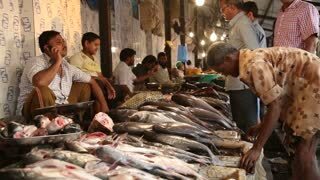 MUMBAI, INDIA - 8 JANUARY 2015: Man talking on the phone at the fish stand of Mumbai street market. MUMBAI, INDIA - 7 JANUARY 2015: Man sitting on a motorbike and talking on a phone on the street of Mumbai, India. JODHPUR, INDIA - 17 FEBRUARY 2015: Man talking on phone while mixing boiling chai in large kettle. VARANASI, INDIA - 20 FEBRUARY 2015: Man talking on phone at ghats of the Ganges river at sunset in Varanasi. MUMBAI, INDIA - 10 JANUARY 2015: Man talking on the phone in the building passage in Mumbai. MUMBAI, INDIA - 7 JANUARY 2015: Man talking on an old-fashioned phone on the street of Mumbai. MUMBAI, INDIA - 7 JANUARY 2015: Local man talking on the phone and crossing street of Mumbai. MUMBAI, INDIA - 10 JANUARY 2015: Worried man hanging up the phone in a slum in Mumbai. MUMBAI, INDIA - 16 JANUARY 2015: Portrait of Indian man talking on the phone at street in Mumbai. MUMBAI, INDIA - 12 JANUARY 2015: Portrait of young Indian man talking on the phone. MUMBAI, INDIA - 10 JANUARY 2015: Portrait of young Indian man talking on the phone. VARANASI, INDIA - 22 FEBRUARY 2015: Man walking down the narrow street and talking on the phone. GOA, INDIA - 27 JANUARY 2015: Portrait of two Indian men, one having a conversation on the phone. VARANASI, INDIA - 19 FEBRUARY 2015: Men walking down the smoky passage in Varanasi and talking on phone. 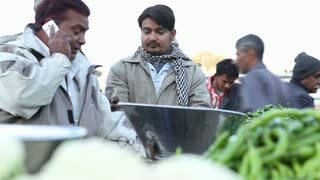 JODHPUR, INDIA - 12 FEBRUARY 2015: Indian men at the market, one of them counting money, other talking on phone.